Are you tired of paying expensive cable and satellite bills, month after month? 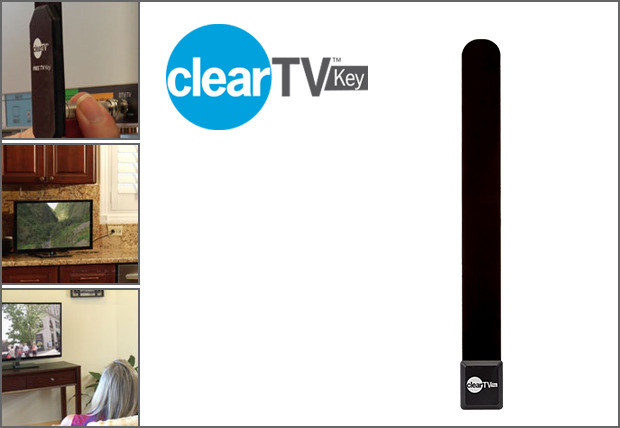 Now you can save thousands of dollars a year with the CLEAR TV KEY by Clear TV. Watch your favorite broadcast network shows—for free! CLEAR TV KEY is so easy—just plug it into your TV’s cable output. There are no wires or unsightly antennas! Your TV will instantly receive top-rated network shows, local news & weather, sporting events, and much, much more! Take it with you on an RV, to a picnic or the beach. It even works on a boat! And if there’s a storm, you don’t have to worry about losing signal. CLEAR TV KEY by Clear TV works as long as you have power! Enjoy watching thousands of channels with your family in vivid HD & digital signals. No contracts, no monthly fees, & no unexpected rate increases!